Warning: This post has nothing to do with scooting my doot. So both Meri and Kyle posted this pic today on facebook. I’m off work today (four day weekend, thank you Mr. Presidents) and I have no children this weekend. 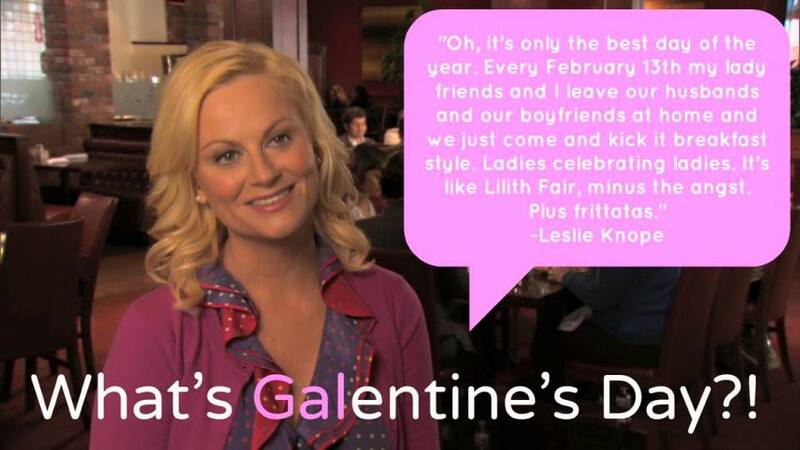 I saw this and I thought, man, I need a Galentine’s day, but a lot of my gals live in places that are far from me. I thought, hey, I’ll digitally stalk them instead. That was way too much work and not nearly as satisfying. If I were with them, we’d be talking about stupid things that we absolutely love (and hate) or things that we love to hate or things that we love that make fun of the things we hate. Aside from a super duper skype sesh, that’s not going to happen. Instead I’m going to share the things that I am absolutely loving right now. 1. I am absolutely loving Southern California right now. 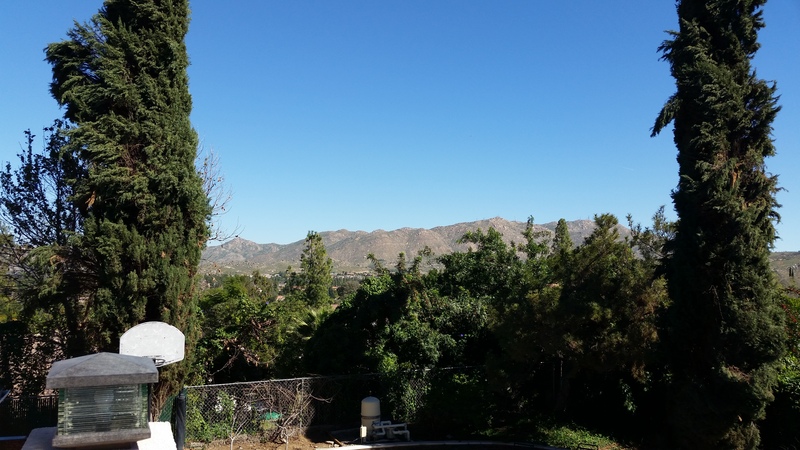 Guys, this is the view from my backyard. We here in SoCal don’t believe in seasons. We only get one. At least it’s one of the good ones. I’m wearing shorts today. 2. I am absolutely loving ModCloth.com right now, and probably forever and ever. 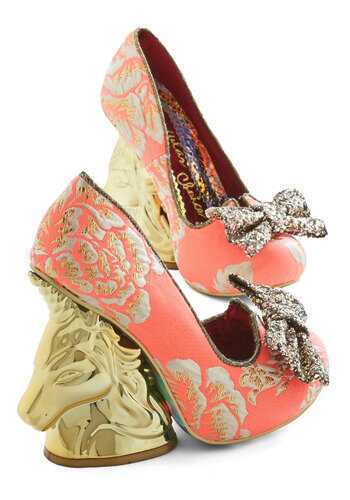 But also because of these shoes. “Yes, Cam, you could. But you wouldn’t,” I argued with myself. Ugh, I hate it when I’m so logical. Someone out there buy these! And then send me pics of you wearing them so I can live vicariously through you. 3. I am absolutely loving kickboxing right now. My kids practice karate. They hate it. At first. Once we get there, they love it. So in order to increase their motivation to practice, I too have signed up at their dojo. They absolutely LOVE this. I’ve been taking a fitness kickboxing class with this badass lady who, despite being tiny and probably in her sixties, could totally take me down. I love punching things. I love kicking things. It’s my new favorite stress release. 4. I am absolutely loving Harry Potter. Again. My boyfriend and my very own brother recently informed me that they had never seen the Harry Potter movies OR read the books. I was astounded. How did this happen? How did my brother, who grew up in the same house as me, NEVER see these movies? And my poor boyfriend! How did he live through his middle adulthood without the wisdom of Dumbledore? Well, this needed to be rectified. A rewatch was immediately enacted. 5. (And, according to facebook, this one stirs up a bit of emotion) I am absolutely loving this review of the movie that shall not be named. This entry was posted in Uncategorized and tagged fifty shades of crap, harry potter, karate, kickboxing, modcloth, socal, usko. Bookmark the permalink. ← A blogaversary #TeamSparkle giveaway! OK here’s what we do: we’ll split the cost of the shoes and we share them. We’ll work out a Google Docs calendar and everything. This has to work. Because I want those shoes BAD! !